The more I delve into the world of natural health with the research I do daily, the more impressed I am with the remarkable medicinal properties of the countless herbs and plants available in the natural world. Although they often go unnoticed and underused in the shadow of pharmaceutical drugs, there seems to be a natural option for almost any condition under the sun. One of my latest favorites? Milk thistle. Milk thistle uses range from keeping your liver healthy to treating diabetes. 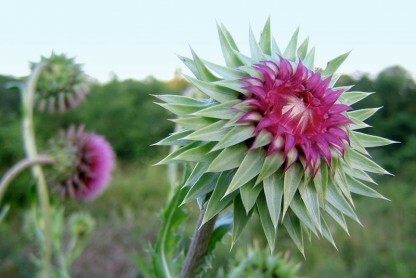 The main extract of milk thistle is called silymarin, which contains many flavonoids and active components. Milk thistle extracts contain potent antioxidant compounds, which are known to be beneficial in treating diabetes. Silymarin has been shown to reduce blood sugar, protect insulin producing β-cells in the pancreas, and help diabetes patients in a variety of other ways. 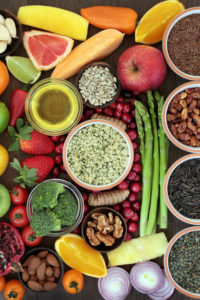 In one study, 200 mg three times a day significantly reduced fasting blood glucose in people with type 2 diabetes, and it also lowered total cholesterol, LDL cholesterol, and triglycerides in this group. Similar results have been found in other studies. Milk thistle also can help prevent complications of diabetes. Recent research shows that milk thistle might be just as important for kidney health as it is for liver health. One of the complications of diabetes is diabetic nephropathy, which is damage of the kidneys that can lead to end-stage kidney disease. Silymarin has been shown to help slow the progression of diabetic nephropathy through its antioxidant and anti-inflammatory qualities, among other mechanisms. [1,8,9] In one study, patients given 140 mg of silymarin for three months showed significantly better markers of nephropathy than those receiving placebo. Although human studies are still lacking, laboratory studies show that silymarin has protective effects against cancer, especially in prostate, breast, and ovarian cancer cells. [7,10] This is likely due to the high antioxidant activity of the flavonoid silymarin. Laboratory evidence also suggests that milk thistle may be used to protect the brain from neurodegeneration. In animal models, silymarin administration has protected against and improved symptoms of both Alzheimer’s and Parkinson’s disease. It is believed to help protect the brain because it is an antioxidant, interferes with the formation of amyloid plaques, and more. Milk thistle is considered safe, even for children and pregnant or lactating women. As always, consult with your doctor before taking any new supplement. The recommended dose is 100 to 200 mg standardized extract (70-80% silymarin) taken twice daily with meals. Do you have experience with any of these milk thistle uses? Have you ever taken milk thistle extract as a supplement? Share your tips in the comments section below. J Renal Inj Prev. 2012 Jan 1;1(1):3-5. Integr Cancer Ther. 2007 Jun;6(2):146-57. J Vet Intern Med. 2013 Jan-Feb;27(1):10-6. Int J Mol Sci. 2014 Nov 21;15(11):21505-37. J Med Food. 2007 Sep;10(3):543-7. J Evid Based Complementary Altern Med. 2015 Feb 16. Am J Kidney Dis. 2012 Dec;60(6):896-903. Antioxid Redox Signal. 2011 Feb 1;14(3):353-66. Eur J Pharmacol. 2014 Nov 15;743:79-88. CNS Neurosci Ther. 2013 Nov;19(11):847-53. 2 diabetes, alcohol, alzheimer, amyloid plaques, anti inflammatory, antioxidant, antioxidant activity, blood sugar, bone, bone building, bone health, bone loss, brain, cancer, cancer cells, children, cholesterol, cirrhosis, complications of diabetes, detoxification, diabetes, diabetic, fatty liver, fight cancer, food, glucose, health, hepatitis, insulin, ldl, ldl cholesterol, liver detoxification, liver disease, liver health, milk, milk thistle, milk thistle uses, mortality, natural health, osteoporosis, osteoporosis treatment, ovarian cancer, Pancreas, parkinson s disease, Prostate, protein, reduce blood sugar, silymarin, studies show, sugar, supplement, total cholesterol, toxins, Triglycerides, type 2 diabetes.